Early indications are that this is a non-combat pet. MMO Dataminded a model that can be seen here. Christ, a downrated comment even whilst this is in the PTR category. Some people are just plain bitter. I'll add more commentary if/when I come across this on the PTR. Update: I never saw this on the PTR and as yet I can see no information has been released on it as of 3.2 going live. I'll continue to update when I know more. 2nd Update: I ticketed a GM about this and they're not allowed to talk about it it seems. 3rd Update: The two maynot be linked but Zharym has recently announced an anniversary update for the Onyxia encounter as seen here. Same as there was a Feat of Strength for the 4th anniversary, I wonder if this item is linked somehow. Amazing little fella, great companion for any collector. 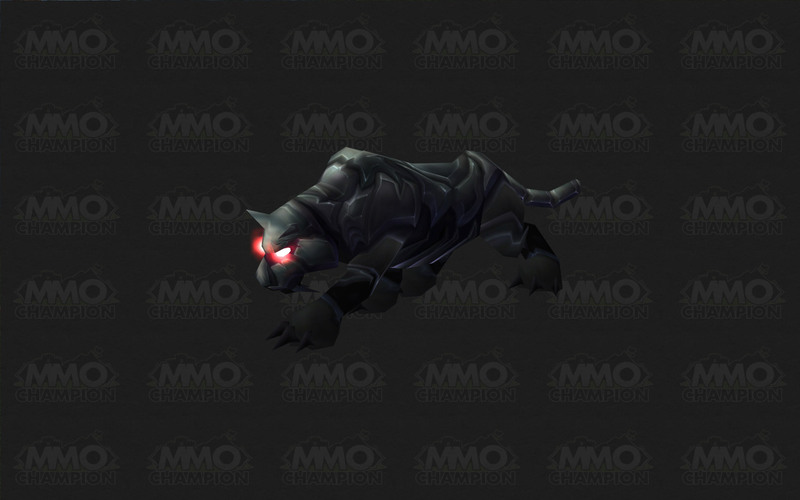 this was released for teh asian version of wow due to us getting the blizzard bear, and they recieved teh panther, as well we are getting onyxia whelpings for the 5th ann. So as not to b a qq post...I am currently petitioning a GM on the subject....Will update post as soon as I get a response. Edit: 1/5/10 Heard from Halsgaard GM from Blizz. Confirmed that this is only available on Korean servers - it is a vanity pet- and if it is something we would like to see brought to U.S. servers - we can let developers know by posting on the suggestion forum. so if enough of us post perhaps down the road it will b seen in US. Anyone else the slightest bit envious that this is for KOREAN SERVERS ONLY !